Services at Noon and 7 p.m.
Services at 9 a.m. and 11 a.m. Adult Forum and Children's Education at 9:15 a.m.
Worship of Holy Eucharist at 10 a.m. Whether you are visiting from nearby or out-of-town, new to the Christian faith, or seeking a church home, we invite you to worship with us. From the months of September to May our Sundays follow this typical schedule. The summer months begin at 10 a.m. with worship service. Please refer to the church calendar or contact the church office by phone or email for specific information on schedules and programming. Additionally the weekly email newsletter lists updates to schedule changes and programming. While children are always welcome to worship services, we also offer nursery care for very young children. 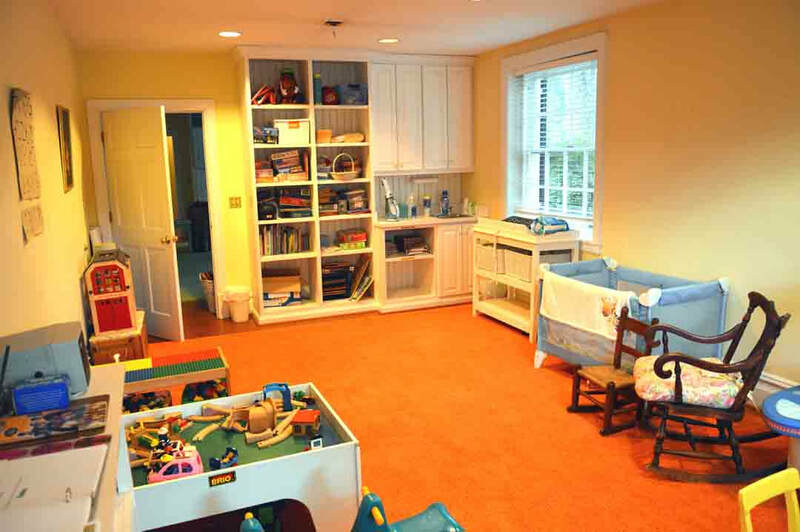 The nursery is located in the Parish Hall (across from church entrance). Learn more. As you enter the church from Rte. 250 you will wind up the driveway. At the top of the hill there is limited parking to the right. Otherwise you would turn left in front of the church into a one-way drive. As you drive past the church there is an area where you can pull over just near the front door to let out anyone who would have difficulty walking. Continuing on the drive circles past the Marston-LaRue building and around to the back of the church. There is parking located east of Marston-LaRue and around the back of the church building. 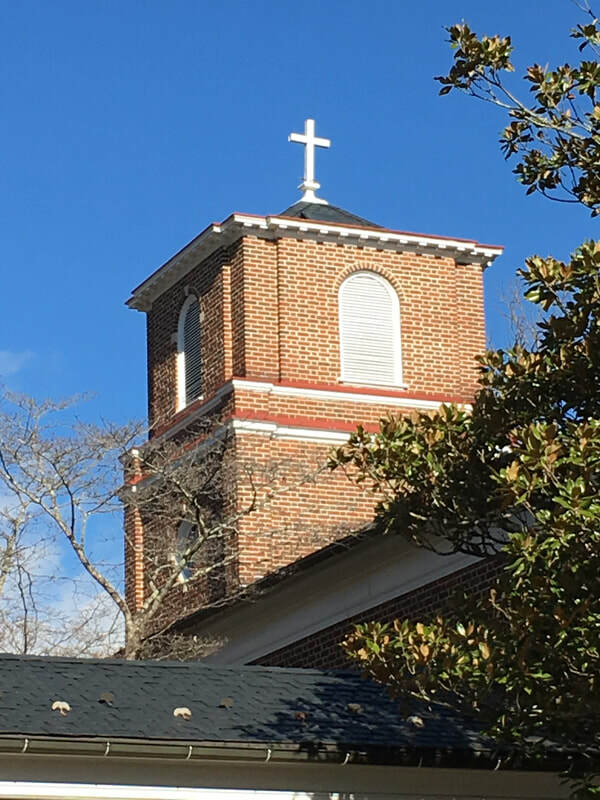 There are a few buildings that make up the Emmanuel Episcopal Church footprint. Click here for a map of the church facilities. Let’s start with what to wear. While there is no dress code to worship God, people generally spruce up a bit to demonstrate that this is a special time. We encourage you to be comfortable, whether Sunday best or summer shorts and sneakers. The church is God's house. We show our respect by our reverence there and by our love for one another. You will find a Bulletin or service sheet to guide you through the service. You are welcome to sit where you are most comfortable. 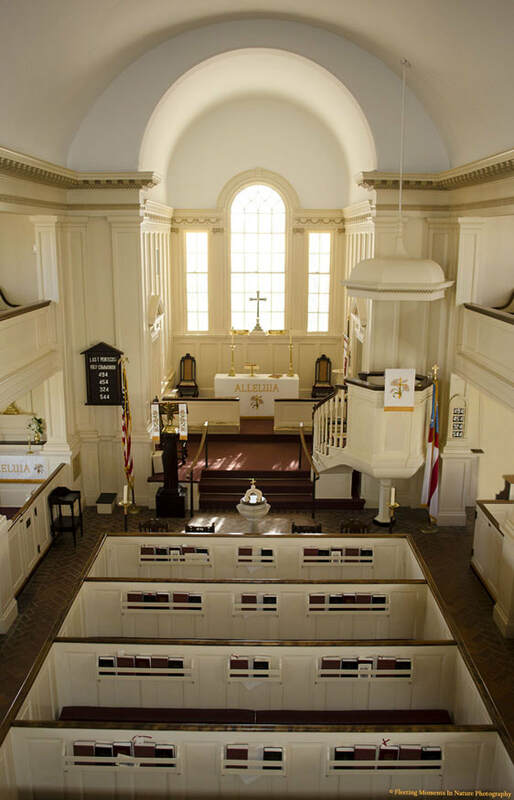 In the pews you will find two books. 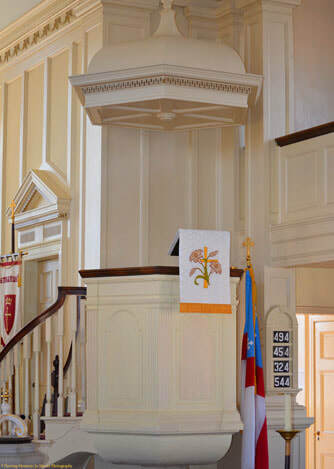 The Book of Common Prayer (BCP) is used throughout the Episcopal Church. It contains all the different forms of worship that we do as Christians along life's journey and through the weekly and yearly cycles. The second book is Hymnal 1982, which is divided into two sections. Even if you are not a great singer or are unfamiliar with the prayers, it is good to join your voice with others. You become a part of the assembly, a part of the whole as the Holy Spirit unites us. You may wonder when to stand or kneel. We give you hints in the Bulletin so that you can participate. The general rule is to stand for the Gospel during the Holy Eucharist service, to say our affirmation of faith, the Creed, and to sing and to sit during readings from the Old or New Testament Letters, the sermon, and choir anthems. We stand or kneel for prayer to show our gratitude and humility before God. Holy Eucharist—You might know it as the Lord's Supper, Holy Communion, or Mass. It is the sacrament commanded by Jesus Christ for the continual remembrance of his life, death, and resurrection. The symbols in the Eucharist are bread and wine. We welcome all to communion, including children. To take communion, follow the direction of the ushers as they direct each pew to process to the altar rail. Kneel at the altar and a minister will place a wafer or piece of bread into your cupped hands saying words such as, "The body of Christ, the bread of heaven." Another minister will bring the cup of wine with the words, "The blood of Christ, the cup of salvation." You may either drink from the cup or you may dip the bread into the wine. If you do not wish to receive communion, you may still come to the altar for a blessing. Simply cross your hands over your chest, and the minister will know that you would like to be blessed. 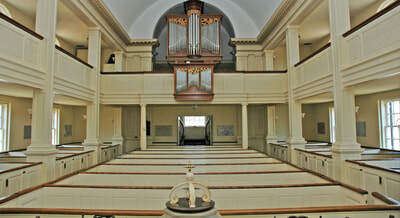 After receiving communion, leave the altar rail by the opposite aisle and return to your pew. Many people kneel in silent prayer after receiving the Eucharist. You can also join in singing the hymn that's listed in the Bulletin. At the beginning of the service we have announcements about opportunities for ministry; some events happen right after worship, and you are welcome to participate. 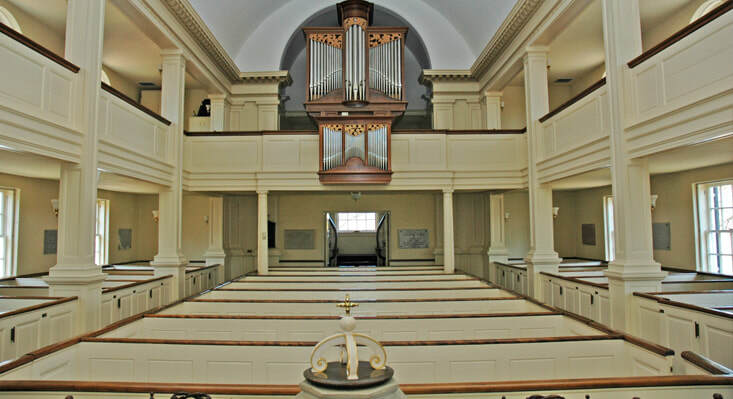 You might choose to sit and listen to the organ postlude, but most people make their way to the exits and on to the next part of their day, either at the church or leaving our grounds. We hope that you will return to join us again. ​As an Episcopal Church, our worship is grounded in the tradition of sacrament, outward and visible symbols conveying the deep meaning of God’s presence transforming our inner lives so that we are strengthened for life’s journey and empowered for Christian witness and service. The Book of Common Prayer provides the frame for worship. Adopted by The Episcopal Church to accompany the Holy Bible, the BCP is a resource for our expression of faith, our belief about God, and our practice of prayer and worship.